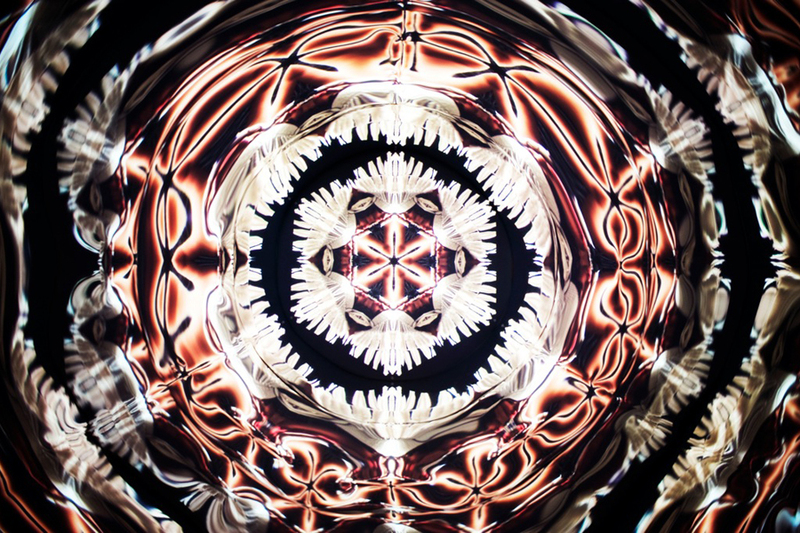 This is a fascinating work, both cerebral and beautiful. It exists at the intersections of craft and high technology, digital space and real place, algorithmic modelling and the physical body. From all of these contradictory, or at least mutually exclusive, pairs, The Real Thing establishes a synergetic experience that smoothly integrates them all. 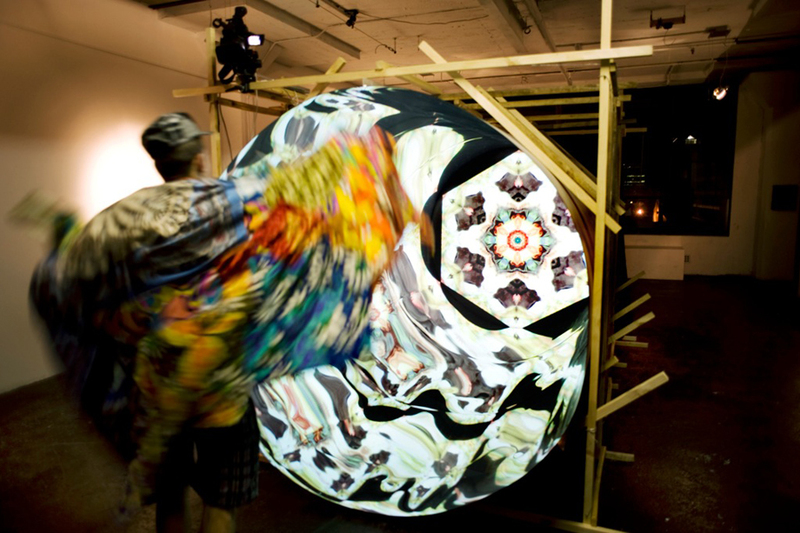 Starting with a viewer’s body, the artwork digitally samples its details and re-interprets it as a shifting, real-time kaleidoscopic pattern, returning the viewer to an awareness of his position and movement. By bending, twisting and flapping his arms, the viewer is “encouraged by the very nature of the work to experience a heightened awareness of his own physicality”. The work sits comfortably within Maisie’s larger oeuvre. 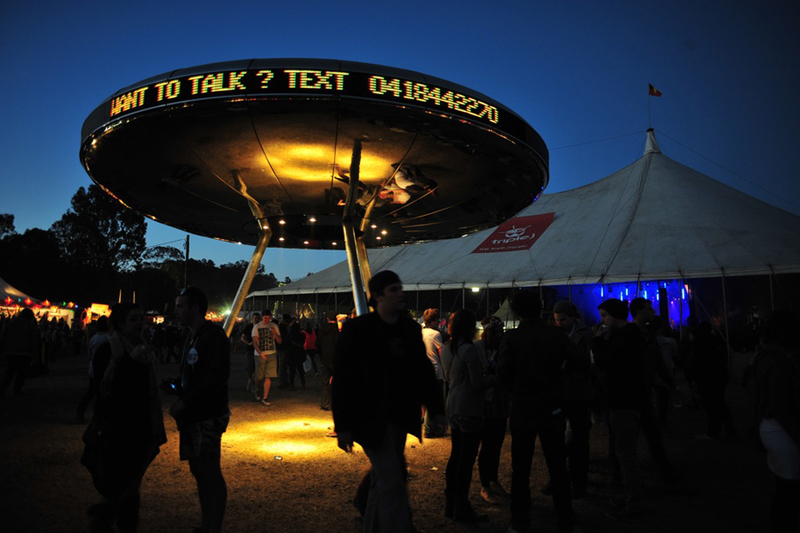 More recent works include the aptly named Liminal Space (2010), a low-key installation that utilises the natural friction between positively and negatively charged particles in soil to generate light, and Close Encounters (2011), an interactive UFO that encourages passers-by to engage via text-message with provocative comments displayed around its circumference. Close Encounters (2011) – Want to talk? 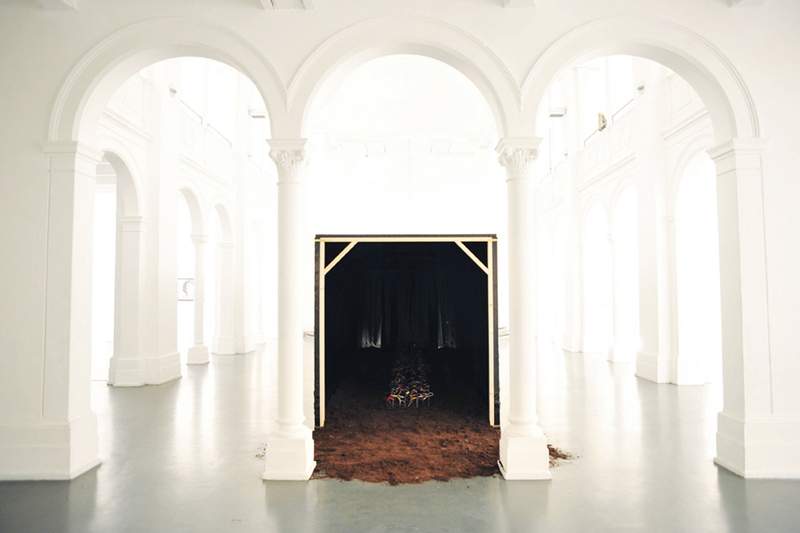 Each of Maisie’s works combine high technology and natural materials in engaging and thought-provoking ways. Not only do they reach out to their audiences and encourage thoughtful exploration, they do so in a way that highlights the dependence on technology that is ever-encroaching upon our previously biological lives. We look forward to future contributions from this smart and talented artist.